Welcome to Discount Online Parts! 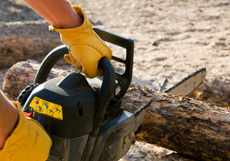 We carry a full range of original equipment manufacturer and aftermarket parts for lawn mowers, chainsaws, concrete saws, snowblowers, small engines, and trimmers. Some of the many brands we carry parts for include Exmark, John Deere, Stihl, Briggs and Stratton, Kohler, AYP / Craftsman / Sears, Cub Cadet, Husqvarna, and Tecumseh. Our inventory includes over 1,000,000 parts. Shop with Discount, a company that focuses on customer service and quality parts!